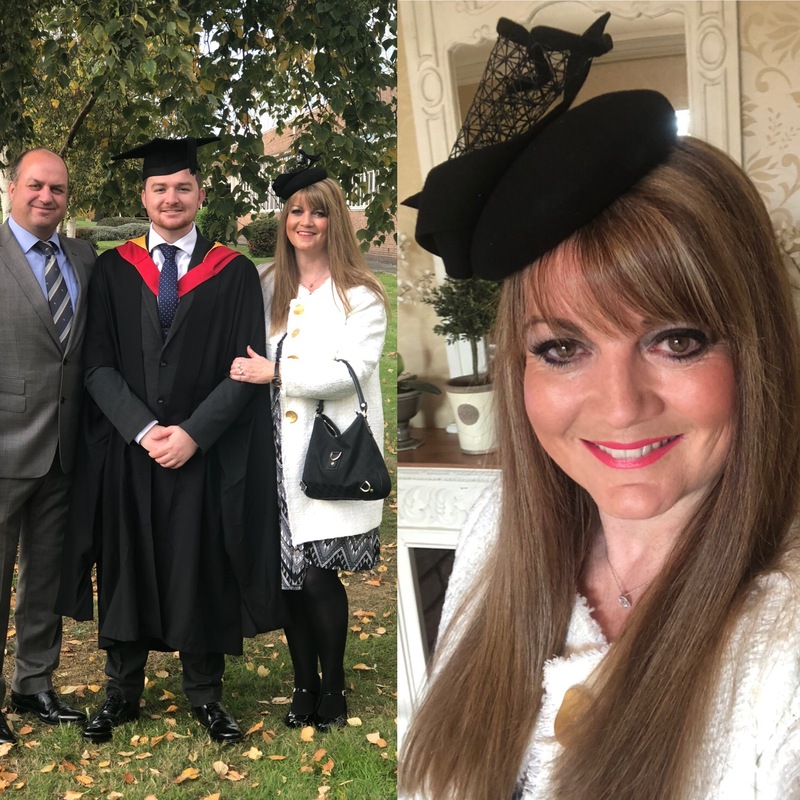 Thanks to Louise for sharing these photos from her son’s graduation recently. Louise is wearing one of the couture felt winter hats from her own showroom . There really is a hat for every occasion! Call Louise on 01978 780669 for an appointment.